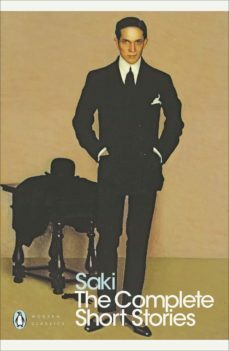 Saki is perhaps the most graceful spokesman for Englands Golden Afternoon - the slow and peaceful years before the First World War. Although, like so many of his generation, he died tragically young, in action on the Western Front, his reputation as a writer continued to grow long after his death. The stories are humorous, satiric, supernatural, and macabre, highly individual, full of eccentric wit and unconventional situations. With his great gift as a social satirist of his contemporaryupper-class Edwardian world, Saki is one of the few undisputed English masters of the short story.